I really like the location , it’s near Dubai Mall. The staff were very helpful,, the apartment very clean,, the parking is very important for me,, the location is perfect. The customer service was beyond excellent!! They were very friendly and accommodating, especially Amira. Thank you very much!! The complex is excellently landscaped with enough in it for everyone, from kids to the elderly. Lock in a great price for Roda Al Murooj Hotel – rated 8.4 by recent guests! Roda Al Murooj Hotel This rating is a reflection of how the property compares to the industry standard when it comes to price, facilities and services available. It's based on a self-evaluation by the property. Use this rating to help choose your stay! One of our top picks in Dubai.Five-star Roda Al Murooj Hotel is located across from Dubai Mall and the famous Burj Khalifa. It features a lush garden with a large swimming pool and free WiFi in public areas. Dubai World Trade Center is a 10-minute drive away. The luxurious accommodations offer views of the city or the lush courtyard gardens. Each one feature flat-screen TV, a sitting area and a working desk, mini-bar and tea/coffee facilities. The bathroom includes a hairdryer and complimentary toiletries. 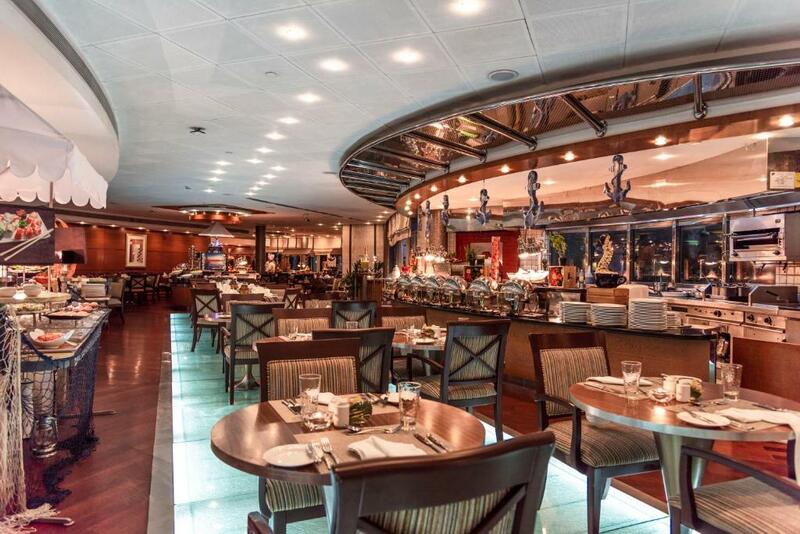 The hotel’s dining options include the award-winning Double Decker Pub and Pergolas the all-day- dining restaurant serving international dishes as well as Circle & Ojos Café. 24-hour in-room dining is also available. Flow Health Club & Wellness Center has a fully equipped gym, sauna, and a hot tub. Massage treatments can be booked at a surcharge. The complex also benefits from an on-site beauty salon, babysitting services, steam room and tennis courts. 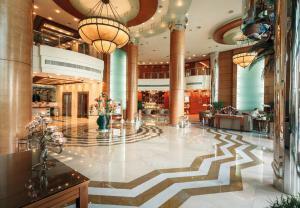 When would you like to stay at Roda Al Murooj Hotel? This room comes with 2 armchairs, a working desk, and a bathroom with bidet and bathtub. The room has views either of the city's skyline or the inland. This spacious room comes equipped with 2 armchairs, work desk and a bathroom with bidet and bathtub. Some overlook the city skyline. These are smoking rooms. Overlooking the city, this air-conditioned room offers a mini-bar, a flat-screen TV and king bed. Access to the Club Lounge, with private check-in and check-out. The lounge also offers breakfast, afternoon tea, evening cocktails and complimentary WiFi. (children are not allowed in the Executive Lounge). Overlooking the city, this air-conditioned room offers a mini-bar, a flat-screen TV and king bed. Access to the Club Lounge, with private check-in and check-out. The lounge also offers breakfast, afternoon tea, evening cocktails and complimentary WiFi. (children are not allowed in the Executive Lounge). Located in the Deluxe Apartment building, this extra spacious, air-conditioned apartment offers a living room with a flat-screen TV, overlooking the city or pool (Subject to availability) and an equipped kitchenette with a washing machine, fridge and stove. Overlooking the city, this air-conditioned room offers a mini-bar, a flat-screen TV and 2 single beds. Access to Roda Discovery Floor, with private check-in and check-out. The lounge also offers breakfast, afternoon tea, evening cocktails and complimentary WiFi. (children are not allowed in the Executive Lounge). This air-conditioned suite offers a separate living/dining room and bedroom. Living area consists of a three seater sofa and two arm chairs. It also includes a writing desk and three telephone lines. Dining table for four people.The bedroom has an additional arm chair and satellite TV. Marble bathroom with bidet, and bath with shower. Suites views can either overlook the spectacular skyline city/complex or land view. Located in the Deluxe Apartment building, this apartment features a king master bedroom, a second king bedroom and a twin/double bedroom; all with private bathrooms. Relax in the living area watching a movie on the flat-screen TV or dine with the family at the large dining table. Prepare a meal in the fully equipped kitchen with an oven, dishwasher, fridge, microwave, crockery, glass and silverware. This apartment features a toaster, electric kettle and microwave. This apartment has a dining area, mini-bar and seating area. This apartment features a dining area, cable TV and stovetop. Prominently situated in Downtown Dubai, Roda Al Murooj Hotel, Dubai is an award-winning five-star property showcasing grand architecture in a resort-style complex in the middle of Dubai’s business and leisure hub. The hotel is located just across Dubai Mall, one of the largest malls in the world and Burj Khalifa, the tallest building in the world. Dubai International Financial Centre and Dubai World Trade Centre are accessible in less than 10 minutes while the closest Metro station (Financial Centre station) can be reached in 10 minutes. Dubai International Airport is a 20-minute drive and Al Maktoum International Airport is 40 minutes away. Our friendly multi-lingual staff will be delighted to help you with any inquiries you may have. Prominently located in Downtown Dubai with Burj Khalifa, the tallest building in the world and Dubai Mall, one of the world’s largest malls just across the street, Rodal Al Murooj Hotel is an iconic landmark at the crossing of Al Sa’ada St. and Financial Centre Road. The hotel is in close proximity of Dubai International Financial Centre and Dubai World Trade Centre and only 10 minutes from the Financial Centre metro station. Dubai International Airport is just a 20-minute drive and Al Maktoum International Airport is 40 minutes away. Area Info – This neighborhood is a great choice for travelers interested in luxury brand shopping, clothes shopping and food – Check location Excellent location – show map Guests loved walking around the neighborhood! 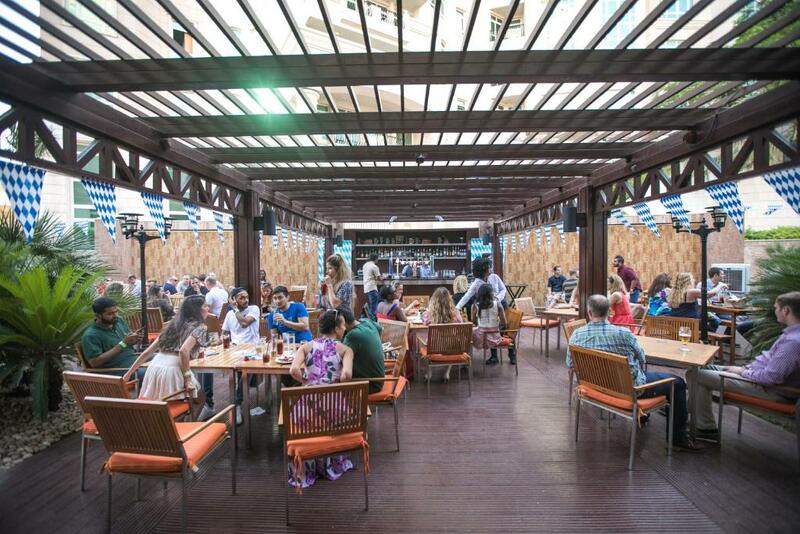 House Rules Roda Al Murooj Hotel takes special requests – add in the next step! Any additional older children or adults are charged AED 126 per night for extra beds. Roda Al Murooj Hotel accepts these cards and reserves the right to temporarily hold an amount prior to arrival. For Ramadan Iftar inclusive rates, please contact the hotel. Please inform Roda Al Murooj Hotel of your expected arrival time in advance. You can use the Special Requests box when booking, or contact the property directly using the contact details in your confirmation. On arrival very check-in very quick, right down to cart ride to the Lavender rooms & location very close to the Dubai Mall. Welcomed warmly which we needed after a 7hr flight from Barcelona. Huge rooms all with own bathrooms. Great place to stay. Pool access is not easy, stairs, narrow stairs, segregated entrance tunnels for women/men! Jacuzzi and sauna segregated! Breakfast spread no change during my 6 nights stays. Construction work made it a little tricky to get to the main lobby. The apartment was spacious and spotless. The beds were fantastic. The compound had all we needed in terms of cafés, restaurants and supermarket. We had the view of Burj Khalifa and Dubai Mall across the street. Excellent location and great value for money. friendly stuff, breakfast selection is nice, and convenient location. Only 5 min. to Dubai mall.